Your search for a large private sector dairy ends here. 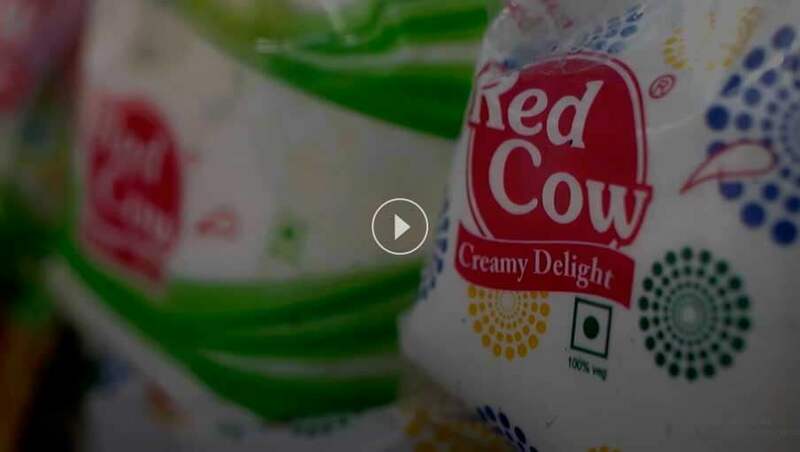 Red Cow Dairy is now a renowned cow milk supplier in India who has carved a niche for themselves in the industry by supplying only fresh cow milk. Our experienced and dedicated team of professionals follow innovative techniques and create fresh trends in the dairy industry. Even if you are a fitness freak, simply hold on a packet of our fresh cow milk and fulfil your appetite completely guilt-free. They are quite rich in nutrition. Being a leading cow milk distributor in India, our complete focus is always on maintaining the reputation earned by us as a leading cow milk supplier. Red Cow Dairy takes much pride in stating that the fresh cow milk supplied by us is quite beneficial for your body in many ways. Being unhomogenized and unpasteurized, it is rich in fatty acids, minerals, vitamins and natural enzymes. Hundreds of our consumers have stated that our cow milk has helped them a lot in addressing numerous nutritional deficiencies. They are also quite beneficial for the skin as they contain healthy fats and provide probiotics. If you are suffering from nutritional deficiencies like vitamin A, vitamin K, potassium or magnesium, just have a glass of fresh cow milk every day. Feel free to approach us for raw milk to reduce allergies and improve your skin health easily. Want To Order Or Know More About Our Cow Milk? Feel Free To Contact Us Today at 03212-230492.